Andronikos IV was the eldest son of Emperor John V Palaiologos. Appointed co-emperor since 1352, he had a troubled relationship with his father: he launched a failed rebellion in 1373, usurped the throne in 1376–1379, and remained engaged in a bitter struggle with John V until his death in 1385. This civil war depleted Byzantium's scarce resources and greatly facilitated the Ottoman conquest of the Balkans. In 1376, he was able to capture and imprison both John V and his son Manuel. 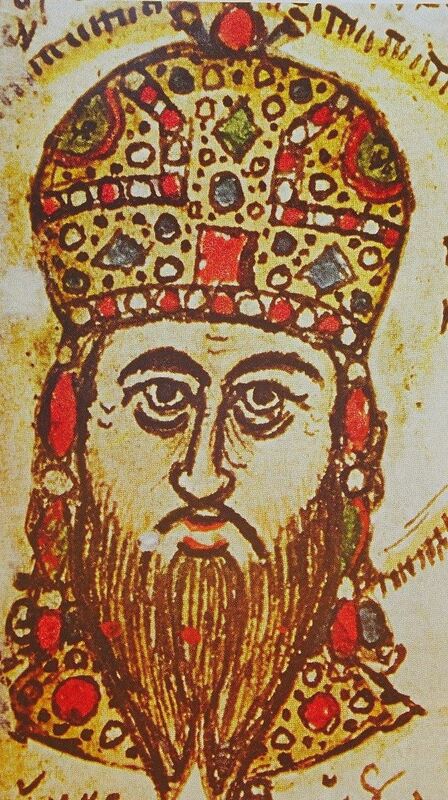 In 1377, he crowned his young son John VII as co-emperor. However, in 1379 John and Manuel escaped to sultan Murad, and with the assistance of the Venetians, overthrew Andronikos later in the year. The Venetians restored John V to the throne, and Andronikos fled to Galata, staying there until 1381. In 1385, he rebelled again, but died soon after.